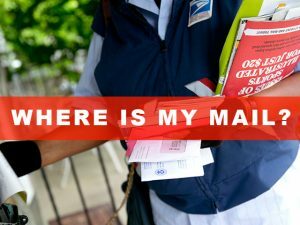 Are you having Mail Delivery Issues? The Ernest/Farrell area did not get mail for a few days then they received 2 mail deliveries on one day. The following week Perkins did not receive mail. The US Postal Service falls under Congressman Ted Lieu’s office. Below is a letter from Congressman Lieu’s office. If you experience a post problem, then you must report the exact date of the problem, your address and complete the privacy release form. Below is the letter from Janet Turner, Field Supervisor for the Congressman. Nice to speak with you today. I’m sorry you and your constituents are having mail problems. As I mentioned, the Office of Congressman Lieu has a 90% success rate in getting mail delivery improved when a constituent opens a case with us by filling out our privacy release form. They can feel free to reach out to me at Janet.Turner@mail.house.govor to call the office at 323-651-1040 and speak with any caseworker. Attached is a privacy release form. Please fill it out for your own USPS problem. As we discussed, you can say that the problem affected your entire block. I need a real signature, not electronic. Feel free to send this privacy release and instructions to anyone who contacts you with a USPS problem. Congressman Lieu takes USPS problems seriously and our office will actively work to help Redondo Beach’s USPS problems be solved. Please do not hesitate to contact me about any specific questions or problems that arise about this issue.